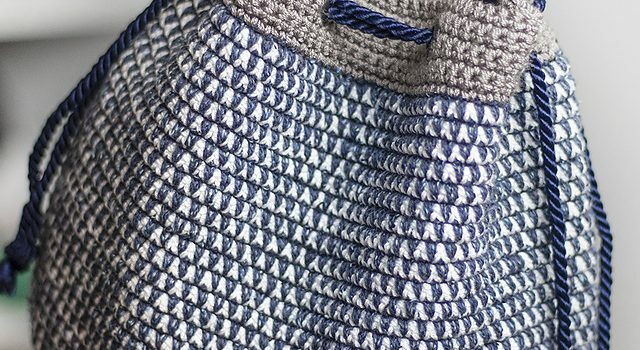 This bucket bag free crochet pattern looks like a great project with beautiful details and lovely finishing. Mosaic Bucket Bag designed by Rebecca Langford is a fun and casual bag with a unique mosaic look, which you’ll probably be able to complete using yarn from your own stash. How awesome is this! The pattern is going to be released in segments over the course of a number of weeks. Get your FREE Mosaic Bucket Bag PDF Planning Guide to make several bags in different color combinations. What’s your color scheme choice: lighter color for the background and darker for the accent or darker background and a lighter color for the accent? Let us know in the comment below. Happy crocheting! FINISHED SIZES: Please note that measurements are approximate and may vary slightly depending on thickness of yarn used for COLOR C.
YARN: Bag is comprised of 3 different yarns. The complete supply list, pattern information, and the pattern itself (published according to the aforementioned schedule) will be available at https://yarnandchai.com/mosaicbucketbag. 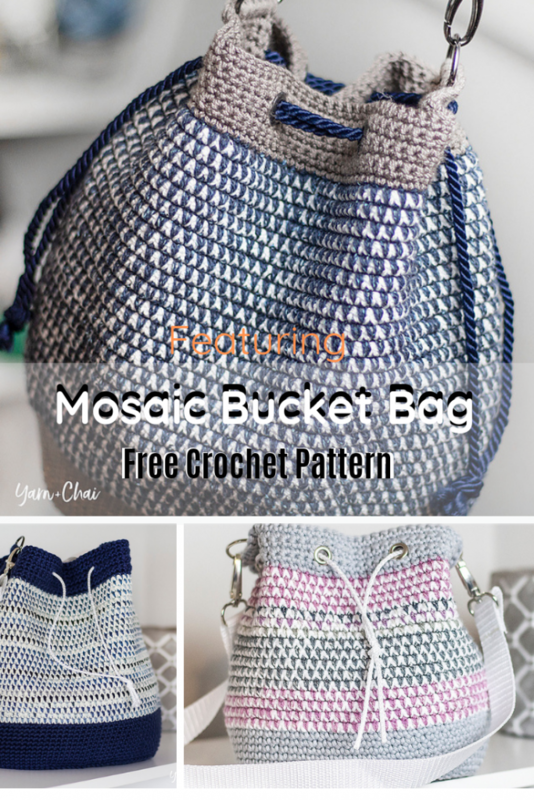 Get the pattern: Mosaic Bucket Bag Free Crochet Pattern. Thanks to Rebecca Langford for the article inspiration and featured image. [Free Pattern] Adorable And Easy To Make Heart Keychain…The Perfect Valentine’s Day Gift!